Independent film director Kevin Smith has amassed a loyal fan following for his “New Jersey Chronicles”- five movies loosely connected through appearances by recurring characters or their relatives. Much like Martin Scorsese’s New York City or Richard Linklater’s Austin, Texas, Smith’s New Jersey shooting locales have become familiar characters in their own right. And while Smith’s films may range from relationship drama to screwball road comedy, they are all grounded by the use of real life locations that give his films a verisimilitude that just can’t be achieved with overused Los Angeles area locations. While Red Bank and its environs are easily accessible from both Manhattan and Philadelphia by mass transit, fans may want to bring their own cars as the locations are spread out over a radius of several miles. Armed with a budget of a mere $27,500 and a cast and crew recruited from friends and local theatre companies, Smith would produce a raunchy black and white comedy which would become one of the hallmark films of the ultra-low-budget revolution of the early 90s. While some have slammed Smith for a lack of visual style- Smith himself among them- he does deserve credit for shooting both the cramped Quick Stop and RST Video Store to appear much larger than they actually are. 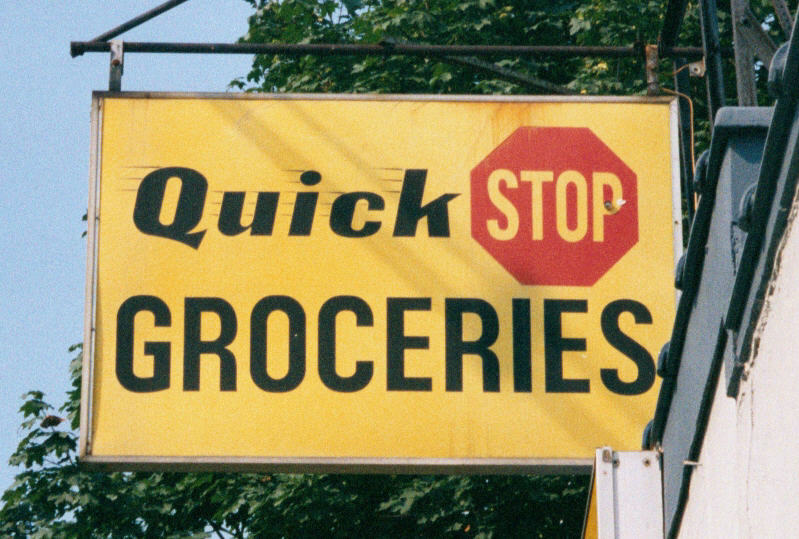 Smith would return to the Quick Stop twice more- First for a short scene for Chasing Amy in the stores’ parking lot and again for a larger sequence in Jay And Silent Bob Strike Back that would see the return on Clerks‘ stars Brian O’Hallaran, Jeff Anderson and Jason Mewes. 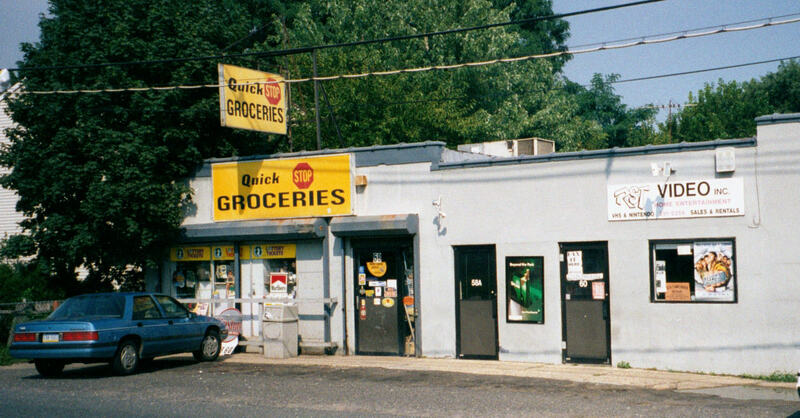 Just a few miles down Route 36 from the Quick Stop/RST Video is the Marina Diner, where Smith shot two pivotal scenes for Chasing Amy– when Alyssa buy’s Holden one of the paintings on the wall and when Silent Bob gives his “Chasing Amy” soliloquy. And you can really buy the artwork off the walls. 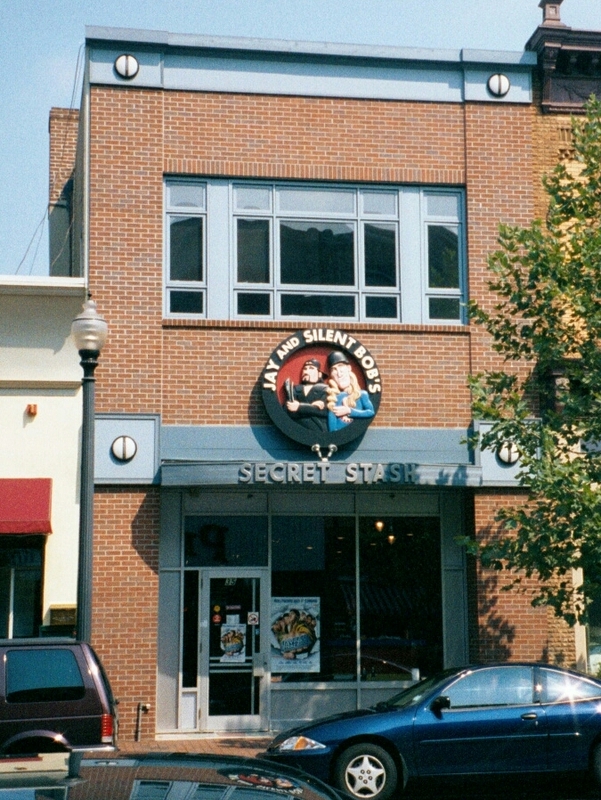 This downtown Red Bank, New Jersey location served triple duty in Smith’s Chasing Amy. The left hand door of the Building serves as the entrance to comic book creator’s Banky (Jason Lee) and Holden’s (Ben Affleck) apartment while the third floor apartment served as the location for the pair’s combination studio and apartment. 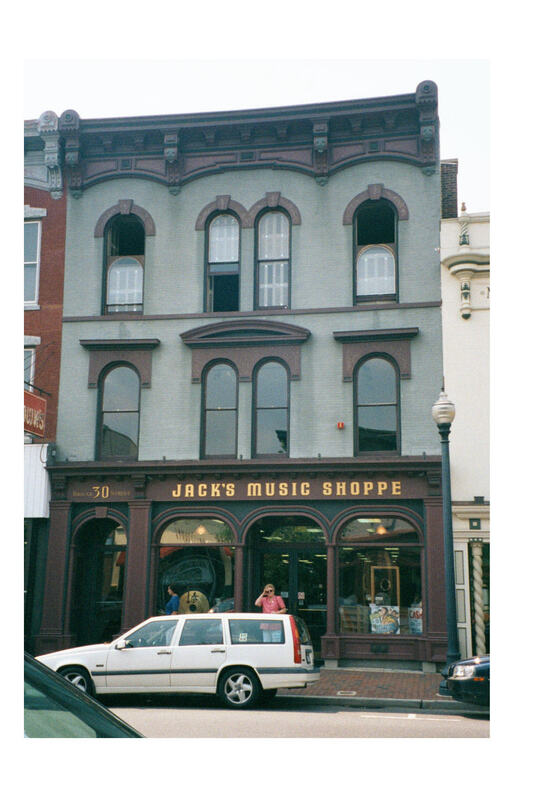 The interior of Jack’s Music was used for a scene between Holden and fellow comic artist Hooper X (Dwight Ewell). 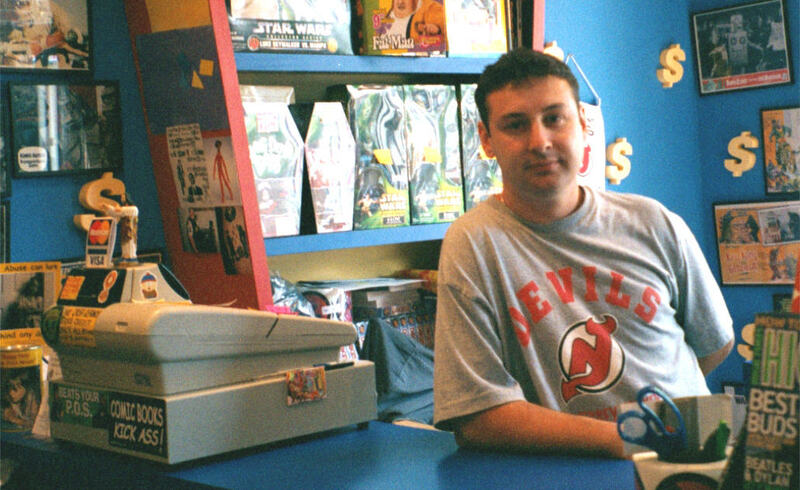 The shop also served double duty as “Brodie’s Secret Stash,” the comic shop in Jay and Silent Bob Strike Back that was run by Jason Lee’s Mallrats character Brodie Bruce. This shopping center was redressed for the train station seen in Chasing Amy. Smith and crew shot two quick shots outside this funeral home for Clerks without the owner’s permission. Both the interior and the parking lot where used for scenes in Chasing Amy where Holden (Ben Affleck) confronts girlfriend Alyssa (Joey Lauren Adams) about her past.